Application/registration for exhibiting and advertising are due by November 3, 2017. One registration fee in the amount of $350 is included in each booth fee. This entitles those registered to participate in conference sessions, receptions and other on-site activities that are open to all participants in the conference. Any additional staff for the booth will be required to pay the full conference registration fee of $525 ($350 for SSWR members) by December 1, 2017; $550 ($375 for SSWR members) from December 1, 2017 by January 5, 2018; or $580 ($415 for SSWR members) after January 5, 2018. 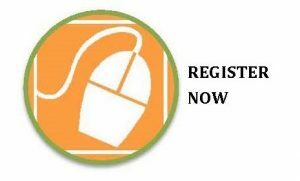 Go to www.sswr.org to register. Exhibit booths are selected on a first-come, first-served basis. Phone requests will not be accepted. Hotel reservations must be made by December 15, 2017 by going to SSWR’s website (www.sswr.org), click Annual Conference and click “Hotel Reservations”, or by contacting the Marriott Marquis Hotel at (202) 824-9200 (hotel) or (800) 228-9290 (reservation center). Be sure to mention the Society for Social Work and Research (SSWR) in order to receive the conference room rate. Please make your hotel reservation as soon as your booth is confirmed. Advertise in the CONFERENCE PROGRAM, which is distributed on-site to all paid registrants in print or digital format. This program is a comprehensive listing of all symposia, plenary lectures, workshops, business meetings, receptions and exhibitors. Attendees use it in planning their Annual Conference schedule and as a reference after the conference. 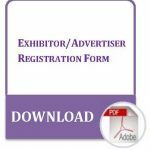 All Exhibitors/Advertisers register online by clicking “Register” above by November 3, 2017. Exhibitors will choose their booth location at the time of registration. Advertisers will submit their camera-ready copy online. Full payment must be accompanied by credit card, check, or PO. If registering by mail or fax, please add an additional $15.00 processing fee. The program will be approximately 5.5” by 8.5”. Full-page color ads are available. Full-page ads continue to be offered in black and white. Camera-ready copy must be submitted by November 3, 2017. Ad copy should be submitted in PDF “press ready” format. Convert all fonts to outlines. No ads accepted after November 3, 2017. * * Copy must be exactly to the dimensions specified above. In the event an ad is not appropriately sized, SSWR/Travelink is not responsible for the reformatting. SSWR/Travelink does not proof advertising copy. Coast to Coast Tradeshow Services, Inc.
As each exhibitor registration is confirmed via email, a copy of the Exhibitor Services Kit will be included. However, Coast to Coast Tradeshow Services, Inc. will send an Exhibitor Services Kit to all exhibitors registered by November 3, 2017. This kit will contain comprehensive information about move-in/move-out schedule, freight handling, electrical, other rental needs, and ancillary services provided by other vendors, such as audio-visual, computers, and telecommunications. Show Management will charge a material handling fee. This fee is NOT included in the SSWR exhibitor fee. No shipments can be made to the Marriott Marquis Hotel or to SSWR staff. All exhibitors must register for the conference at www.sswr.org. Electrical and wired/wireless internet is available at an additional cost. Contact Travelink, American Express Travel by email at sswr@travelink.com or by phone at 615-367-4900 ext. 5113. There will be one table designated as a “Take One Table”. Organizations or individuals may place their own materials on this table and remove them at the end of the conference. This table will not be staffed. No materials may be shipped to SSWR/Travelink for this table. Each party [Exhibitor], Society for Social Work and Research (SSWR), Travelink, American Express Travel, Coast to Coast Trade Show Services, and the Marriott Marquis Washington, DC Hotel covenants and agrees to fully indemnify, defend and hold harmless, the other party and its employees, officers, directors, members and representatives of the other party (“the Indemnified Persons”) , individually or collectively, from and against any and all costs, claims, liens, damages, losses, expenses, fees, fines, penalties, proceedings, actions, demands, causes of action, liability and suits of any kind and nature, including but not limited to, bodily injury or death and property damage, made upon the Indemnified Persons, directly or indirectly arising out of, resulting from or related to the indemnifying party’s activities under this License Agreement, including any acts or omissions of the indemnifying party, any agent, officer, director, representative, employee, consultant or sublicensee of the indemnifying party, and their respective officers, agents, employees, directors, and representative while in the exercise of the rights of performance of the duties under this License Agreement, all without however, waiving any governmental immunity available to hotel under (state) law and without waiving any defenses of the parties under (state) law. The provisions of this indemnification are solely for the benefit of the parties hereto and not intended to create or grant any rights, contractual or otherwise, to any other person or entity. Each Indemnified Person shall promptly advise the indemnifying party in writing of any claim or demand against the Indemnified Person known to the Indemnified Person related to or arising out of activities under the Rules and Regulations. Each party shall have the right, at its option and at its own expense, to participate in the defense against any such claim or demand without relieving the other party of any of its obligations under this paragraph. [EXHIBITOR] understands that neither the Society for Social Work and Research (SSWR), Travelink, American Express Travel, and Coast to Coast Trade Show Services (Client) nor the Marriott Marquis Washington, DC (Hotel) maintains insurance covering the Exhibitor’s property and it is the sole responsibility of the Exhibitor to obtain such insurance. Exhibitors have paid a fee for the privilege of presenting their materials to participants in this conference. SSWR does not endorse, or necessarily recommend the products. Most conference attendees will arrive on Thursday, January 11, 2018. The exhibit area will be open for installation on Thursday from 7:00 am to 12:30 pm.